Teeth are among the first things that we notice when we meet someone. If a person has gaps in their teeth, damaged teeth, or any dental issues, there is a chance that they might feel more insecure compared to those who do not suffer from such issues. Luckily, there is a solution for those who are suffering from these problems. Dentists recommend implants as they look and function like normal teeth and help regain the lost confidence. 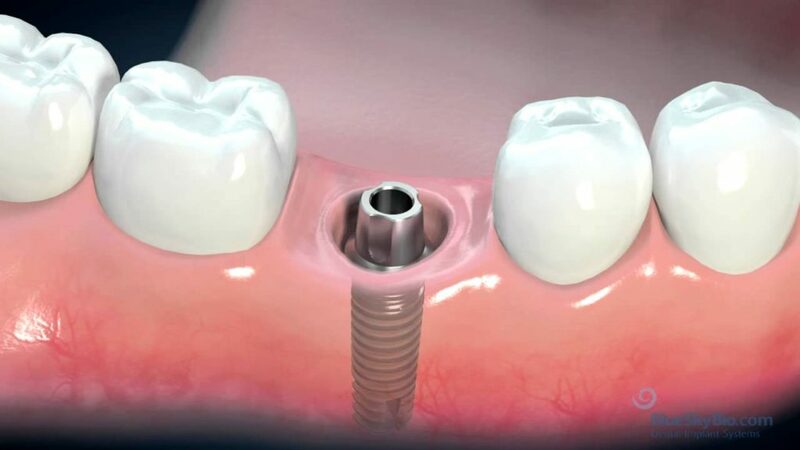 Dental implants are the closest and best thing after real teeth. These metal posts are surgically fixated into the jaw, beneath the gums. After the placement of these metal posts, dentists attach synthetic teeth onto them (metal posts) so individuals can have the most beautiful smile. Implants begin to blend into the jawbone, which leads to more stable support for the artificial teeth. Implants look and feel like real teeth. The best part about implants is that they will not slip into the mouth when eating, drink, or talking. Dentists recommend implants over dentures. Many people say that dentures and dental bridges are not comfortable as they can lead to uneven ridges, random gagging, and sore gums. Bridges require individuals to have teeth on both sides of where it will be placed for support, while dental implants need no neighboring teeth or support from other teeth. For many people, implants are motivation to keep good oral health in order to maintain a full, stain-free smile. Bridges and dentures have the risk of falling out or loosening, whereas implants need occasional adjustments so they can stay a lifetime. When bridges and dentures become loose, they become painful. The estimated lifetime for them is 5-7 years while implants are going to stay for a lifetime. Implants have the ability to improve oral health. Having gaps in the mouth can lead to bone loss causing other teeth to collapse. Implants restore the health of the mouth by preserving and encouraging bone growth. Dental implants provide people with a healthy look that allows them to have the most beautiful smile ever. There is no possibility of telling real teeth apart from implants; therefore, there is no need to worry about them falling out or loosening over time. Undoubtedly, having a full set of teeth can lead to higher self-confidence. If you feel like you need implants, search for “dentists near me” or visit www.brooklynblvddental.com/ to get an expert advice. You have probably noticed that you have different types of teeth. Have you ever wondered why?